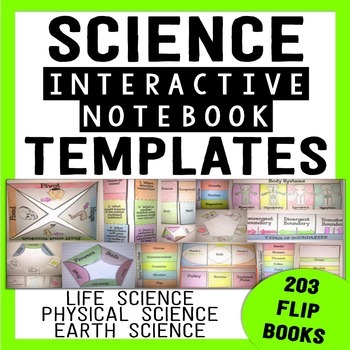 Science Interactive Notebooks can be used in many ways in your classroom to help your students keep track of key vocabulary, definitions, and concepts. 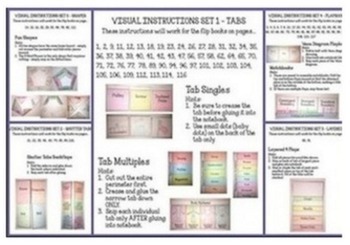 The foldable flip books can be used in a file folder to create lapbooks, or glue them into your science interactive notebooks! Most of the flip books are left blank on the inside. This will allow you to fully customize each flip book for whatever curriculum or grade you teach with the exact information you want your students to know. 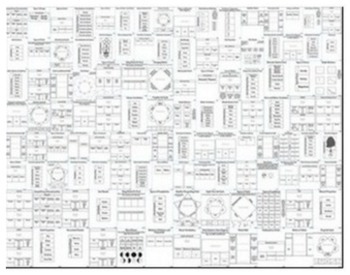 Examples for what is written on each tab are not included, but can be taken from whatever science curriculum you currently use. Possible suggestions would be to use definitions, pictures, and examples. 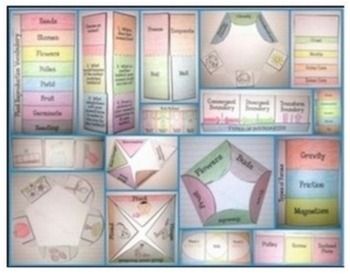 These made a fantastic tool to use for science differentiation as well! The flip books with a *** were added after the original listing.